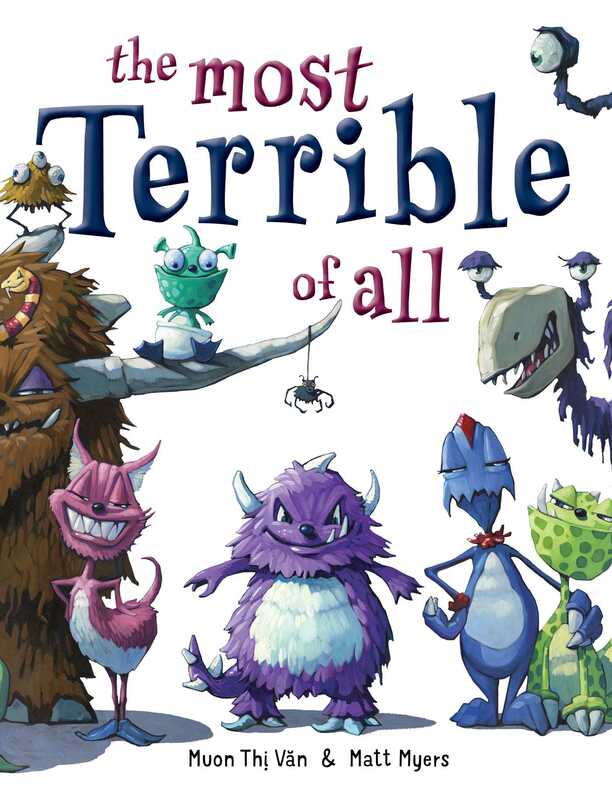 A little monster discovers that true terribleness can come in a very tiny package in this bold, funny exploration of sibling rivalry. Mirror, Mirror, on the wall, who’s the most terrible one of all? Every morning, Smugg’s magic mirror tells him that he’s the most terrible monster there is. Until one day, when the mirror tells him there’s an even worse monster, right next door! More terrible than Smugg? How can that be? When Smugg marches next door, he learns that his neighbors have a new baby. She doesn’t look so bad—after all, she’s tiny. Smugg is sure he can be more terrible than she is. But the little beast is just getting started. She writes on the walls, devours the books, and—oh no!—she won’t stop crying. But the worst part is that she just might be getting attached to Smugg himself! He wouldn’t want a terrible tiny baby clinging to him…would he? Muon Thi Van is the critically acclaimed picture book author of In a Village by the Sea, The Little Tree, and The Most Terrible of All. She lives in northern California with her family. Visit her at MuonThiVan.com. Matt Myers has illustrated more than a dozen books, including The Most Terrible of All, A Dog Named Doug, the New York Times bestseller Battle Bunny, and The Infamous Ratsos, a Theodor Seuss Geisel honor book. He lives in Charlotte, North Carolina. You can see more illustrations and fine art at MyersPaints.com.